compiled by Werner Schroeder, paperback 320 pp. 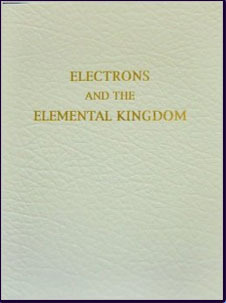 101 dictations by the Maha Chohan, describing the origin and function of electrons, including their relationship to individual life. Dictations are given by the Directors of the Kingdom of Nature (earth, air, water, fire) on the subject of the Elemental Kingdom. The different types of elementals and their function in the kingdom of nature. Details are given, leading to better understanding of elementals, including sylphs, undines, gnomes and salamanders. Causes of natural catastrophes and how to mitigate them.